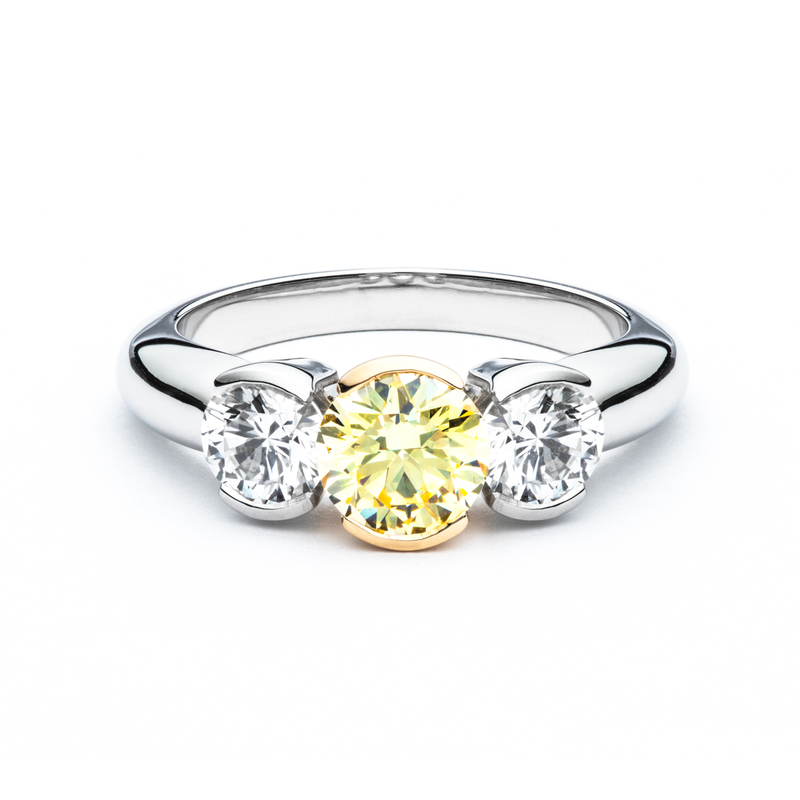 Platinum and 18kt yellow gold split bezel three stone diamond ring. 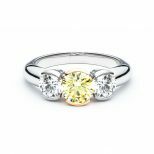 The center round brilliant diamond is a fancy light yellow VVS2 certified by the GIA stating the color origin is natural. The side diamonds are 0.90ct total weight and are E/VS2 in quality.